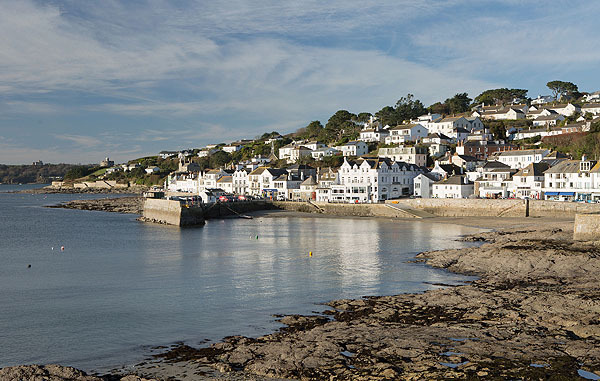 St Mawes is The "Roseland Peninsulas" principal village, a picturesque harbour with whitewashed houses . The Coast Path uses the St Mawes Ferry which runs , depending on weather conditions , between Falmouth and St Mawes. Then the Place Ferry which operates (April - Oct) , landing passengers on to a tidal pontoon at Place Creek .